These two-dimensional porcelain vases are inspired by the small paper vases that were stuck over the stems of dried flowers in seventeenth century botanical albums. Within these albums both the plant and vase have lost their original shape and function and have changed from three- to two-dimensional. 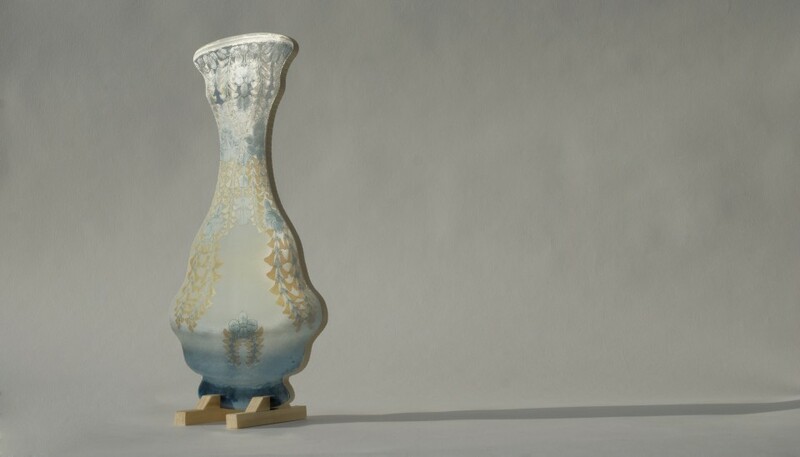 These porcelain vases have also lost their function as containers. Just like many other vases, they can be left standing on top of cabinets, getting covered with dust and never be used to hold flowers.